This deal just keeps getting better all the time. Disney has deep pockets, you’d think that Sony would ask the rival studio to pony up some cash to regain the rights to Spider-Man. Well, if you’re already thinking of a number in the billions, you might want to take it down all the way to zero. Hours after it was announced that Disney would be “sharing” Spider-Man with Sony, details about the deal are being revealed. First up came info regarding when Spidey might make his Marvel debut, whether Andrew Garfield will still be playing the role of Spider-Man, and if the Sinister Six movie was still on or not. 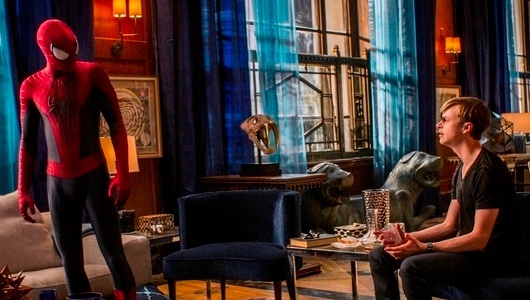 Now new details have arrived, this time revealing some of the financial details of the deal and the status of The Amazing Spider-Man 3 and other spinoffs like Venom. More on all of this after the jump. Last night the comic book world experienced a shake up when it was confirmed that Marvel and Sony made a deal to share Spider-Man. 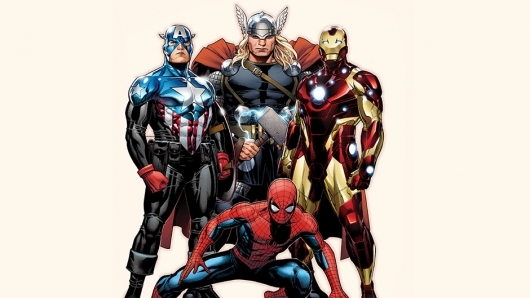 Marvel will not have full rights to the character, as Sony still retains the marketing and final creative control. However, studio head Kevin Feige will co-produce alongside Amy Pascal. News of a “new Spider-Man” being introduced brought up a couple of questions about the current Spider-Man. 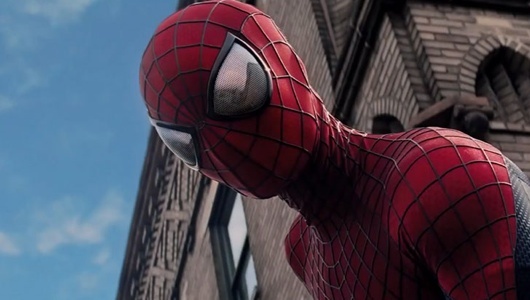 The current franchise reboot, The Amazing Spider-Man, has already had two films and launched potential spinoffs. The press release used the word “new” meaning that everything we have come to know about The Amazing Spider-Man and its potential spinoffs are moot. But a new report suggests otherwise, and that some things are changing while others will remain the same. Hit the jump to find out more. The moment that every Marvel fan has been waiting for has finally arrived. 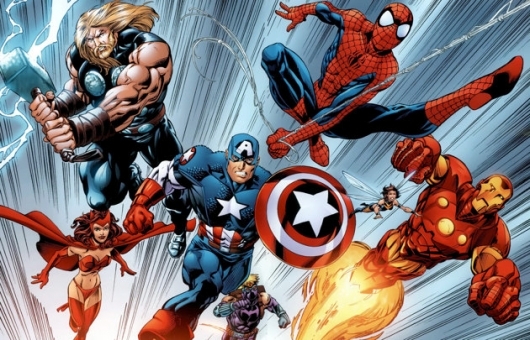 Sony Pictures and Disney have just inked a deal that will allow Spider-Man (a Sony Pictures property) to play in the Marvel sandbox with fellow heroes like Iron Man, Captain America, Thor, Hulk, and more with the Marvel Cinematic Universe (MCU). If your movie dream is to see a single movie that features all of the comic book movies of last year together as one—which is probably no one, because that doesn’t make very much sense—this trailer is the closest you’ll get. A French graphic designer and editor by the name of Michaël Deleau cut together a two-minute trailer that fuses together the many comic book movies of 2014, including Guardians of the Galaxy, Sin City: A Dame to Kill For, Captain America: The Winter Soldier, X-Men: Days of Future Past, Teenage Mutant Ninja Turtles, 300: Rise of an Empire, and The Amazing Spider-Man 2. Basically it’s a trailer for the summer movie season, and you can check it out below. As expected, we are learning more about Sony’s plans to share Spider-Man with Marvel since news of the studio’s e-mail hacking scandal broke in late November. With The Amazing Spider-Man 2 underperforming at the box office, and Sinister Six and Venom spinoff films showing no signs of development, the once lucrative franchise was beginning to look more like a lost cause. So would make sense for Sony to share the character with Marvel. It’s definitely a move that would benefit both studios. But as we all know, there was a fallout, and any plans to share the webslinger never came to be. However, had those talks ended successfully, we would have seen Spider-Man make his big Marvel Cinematic Universe debut in Captain America: Civil War. But we wouldn’t see the current Spider-Man, played by Andrew Garfield, in the sequel. According to reports, this would be a different actor playing Spider-Man, who is already an established character in the MCU. Hit the jump for more. In the wake of the recent hack at Sony, four of the studio’s upcoming films have already been uploaded to various sharing sites, salaries have been revealed, employees have expressed how they feel about some of the films that are being produced, social security numbers have been leaked, and numerous threats have been made towards employees. While the studio is attempting to get a handle of the situation, it is clear that a lot of damage has been done. As Sony moves forward, it’s likely we’ll learn what kinds of things were leaked. The Wall Street Journal has done some digging, and have found as a result of the leaks that Sony has had discussions with Marvel about sharing Spider-Man, and that there have been talks with The Lego Movie directors Phil Lord and Chris Miller about an animated comedy. Sony’s Spider-Man universe sounded like a good idea at first, but the latest rumor makes it look as though they are blindly throwing darts at a board. With each new rumor to pop up, their Spider-Man universe feels more like a desperate ploy to stay in competition with their rivals, DIsney’s Marvel Studios and Warner Bros.’ DC Universe, and more of a reason to keep a tight hold of a once lucrative franchise. We are getting a Sinister Six film sooner than expected, which could work given that the tone of the film will be like that of the Dirty Dozen. 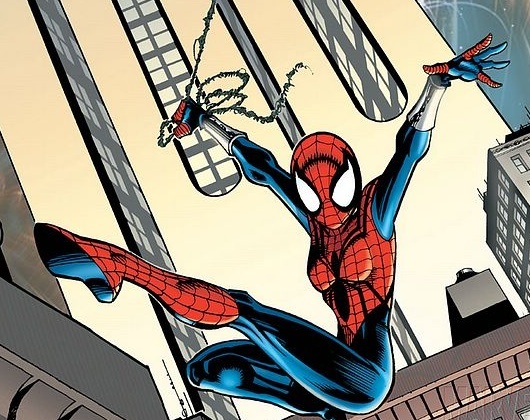 There are also rumors of an all-female Spider-Man character team up. Then there is Venom, but the status of that film is still up in the air. With Sinister Six and The Amazing Spider-Man 3 are pretty much locks, but still far from ready to start filming, a new rumor has emerged to make it look as though Sony will do just about anything to keep the Spider-Man character in their grasp. 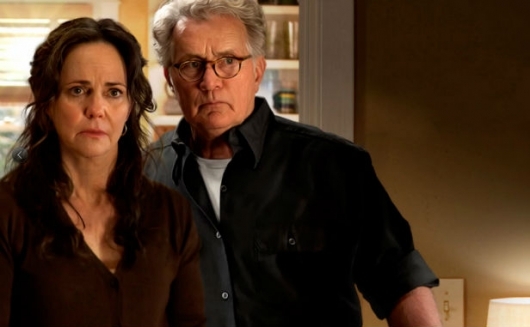 According to a new rumor, the studio is interested in a movie centered around Spidey’s Aunt May. In the past few weeks, Marvel and Warner Bros. have dropped huge bombs on their fans by making massive superhero announcements. Fox seems content with what they have in terms of X-Men and Fantastic Four, but it seems that Sony is in a bit of trouble with Spider-Man. We didn’t get the news that the webslinger would join the Avengers this week, and the latest rumor could reveal that the studio is scrambling to figure out what to do with their franchise. At first Sony announced their own Spideyverse in order to compete with Marvel and WB, but with The Amazing Spider-Man 2 performing lower than expected, Sony went back to the drawing board. One of their first moves was to reschedule The Amazing Spider-Man 3 for a 2018 release, and reschedule the Dirty Dozen-style Sinister Six for a 2016 release. And who knows what’s going on with that Venom movie. Now Sony is rumored to have an interesting film lined up. A new report says that the studio is planning to release an all-female Spider-Man team-up film. Hit the jump for more. Sony’s Spider-Man reboot is proving to be more damaging that profitable. From a domestic standpoint, the Spider-Man films, both franchises, have produced consecutive diminishing returns with The Amazing Spider-Man franchise producing lower than $300 million. 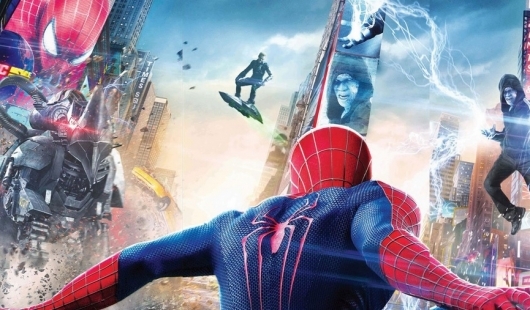 The Amazing Spider-Man 2 grossed only $202 million domestically versus Sam Raimi’s $403 million. Despite that, the studio is staying strong to their convictions, and is staying the course with their cinematic universe for the franchise character by releasing a Sinister Six movie in 2016, The Amazing Spider-Man 3 in 2018, and a female character spinoff in the near future. 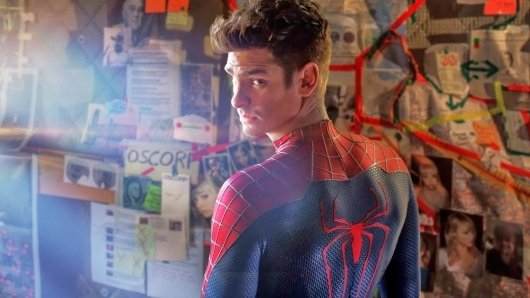 Whether or not these films will help reestablish Spider-Man as a lucrative film franchise remains to be seen, but the first two films since the reboot does not bode well for the franchise’s future, and now Andrew Garfield has a response to why The Amazing Spider-Man 2 performed so poorly at the box office. Hit the jump to see what he said. The Sinister Six will always be a constant threat to Spider-Man. Though the roster has changed throughout history, even once doubling to 12, Spidey’s greatest villains will unite the one signal purpose of taking out the webslinger. So when Sony announced that their Spider-Man Cinematic Universe would release a Sinister Six movie written and directed by Drew Goddard in 2018, fans got excited. Of course this meant that the films would need to build up to that one film, and it made plenty of sense that a Sinister Six film would be released after The Amazing Spider-Man 3. But then came The Amazing Spider-Man 2‘s disappointing box office numbers, which was then followed by Sony pushing The Amazing Spider-Man 3‘s release date from June 10, 2016 to 2018. The studio then rescheduled the Sinister Six film from 2018 to 2016. Of course an entire film focused on the Sinister Six, that only has a few possible members on their roster that we have seen and another two confirmed outside of the film, would mean that Spider-Man would have to be involved in some sort of capacity. But Andrew Garfield doesn’t seem to think that’s happening. Hit the jump to see what he had to say about his possible lack of involvement.